Madame Tussauds Hollywood unveiled a new Michael Jackson wax figure today. 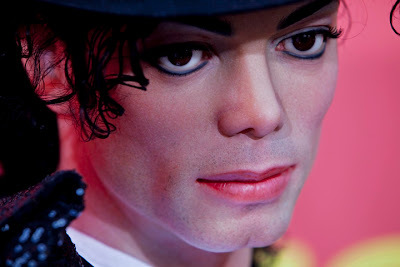 The wax figure, which Jackson sat for, cost $300,000 dollars to fabricate, that's a lot of candles. 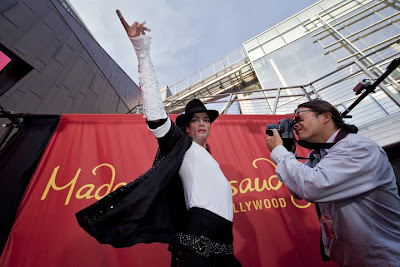 Fans will be able to pose and take photos with the figure beginning tomorrow at Madame Tussauds Hollywood.